two tracks of T.E.F. 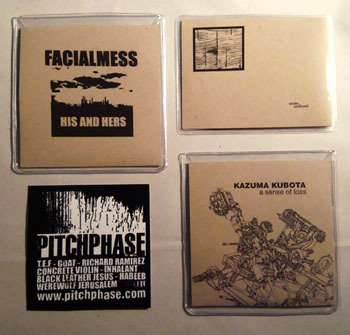 harsh noise, "Reduced to Ashes" and "Throwing Lead"
3" CDR in card folder in vinyl sleeve plus 2.75"x2.75" T.E.F. sticker.